It takes about 25 minutes by car from the city, which is one of old golf courses well-known to Lao people. It is easy to understand because it is on the main street. This is a golf course that I used from old days, but I renovated from a few years ago, so it got better than before. The clubhouse is also big and beautiful. Both local people and tourists are well known as it was originally there as well as the price. As it is a state filled with golf course members as it is Saturdays and Sundays, people who decide suddenly may not be able to make a reservation. It is comfortable here unlike other golf, but since the cart is not placed, it will be a good exercise to finish up to 18 holes. Restaurant here is also large and beautiful, but the price of meal is normal rate compared to outside store. It is a historic golf course established in 1909 during British colonial era. Myanmar is one of the prestigious golf courses of Myanmar which is participating in the Malaysia Country Club, where ASEAN cups and international golf tournaments are held. There are 18 holes in Lenzie 7,063 yards. The course incorporates trees and hills well into the layout and is a popular place in Yangon. 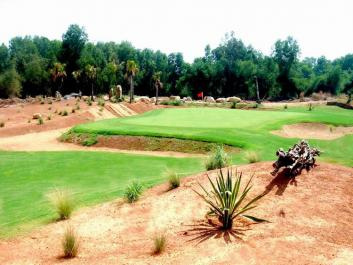 Twin Doves offers a 27-hole international standard championship members golf course. Located around 1 hour outside Saigon, the Twin Doves woodland and lake styled course is broken into 3 nines named Luna, Mare, and Sole. 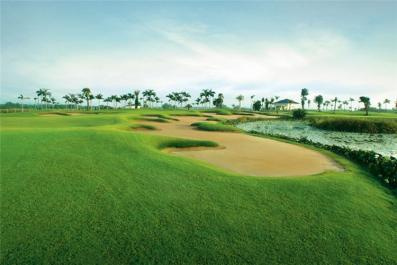 Taekwang Jeongsan Country Club is location on its own island in the Saigon River. Travel to the Ho Chi Minh City golf course requires golfers to travel out of the city on Vietnam’s main north-south highway and take a ferry across the Saigon River. All in it takes around 90 minute to reach the golf course from the main hotel districts in Ho Chi Minh City. Dong Nai Golf formal operations in 1997 with 18 holes cut and the remaining 9 holes were opened in November 2002. 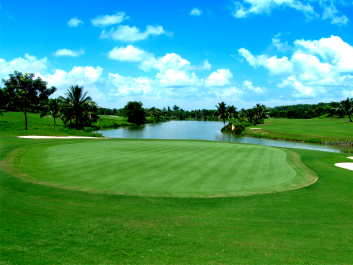 Golf is one of the 10 most beautiful landscape and the most challenging of Southeast Asia. Vietnam Golf & Country Club is the first 36-hole golf club in Vietnam and is widely regarded as Vietnam's Premier Golf and Country Club.Located just 20 kilometres from the centre of Ho Chi Minh City, Vietnam Golf and Country Club is also the nearest golf club to the city.Set amongst 300 hectares of land, two great golf courses have been carved out of the existing woodland with minimal land movement, leaving you feel that the land was always destined to be a golf course, so natural is the lay-out and design. 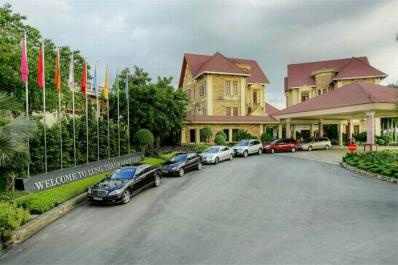 The Long Thanh Golf Club offers 36 holes of golf in the former rice paddies and scenic countryside surrounding Saigon. 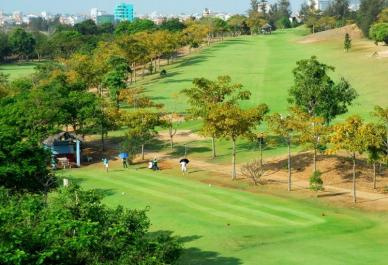 The Ho Chi Minh City golf course is located 30 kilometers north of the city on a hilly with unobstructed views back towards the Vietnamese capital. 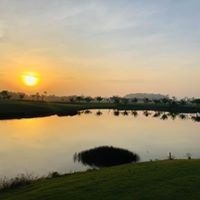 Song Be Golf Resort was Vietnam’s first international championship golf course and is widely regarded as one of the most challenging layouts in the country. The golf resort was built in 1994 out of the natural landscape of fruit orchards and coconut palms. In 1995 the Song Be golf course was officially rated in accordance with the USGA/SGA requirements. 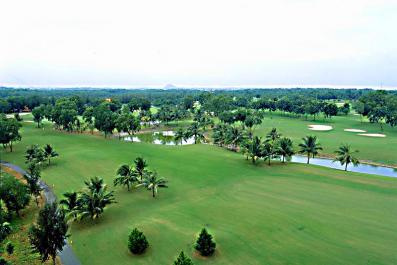 Tan Son Nhat Golf Course is a public golf course located 4 kilometers from the center of Ho Chi Minh City. 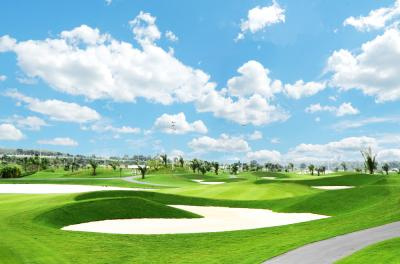 Built across 156 hectares, the 36-hole Tan Son Nhat Golf Course borders the Tan Son Nhat Airport – the busiest in Vietnam.